The diamonds that are formed under the earth’s surface are known as natural diamonds. They are carbon-bearing materials (with a chemical makeup that is similar to coal) that form when exposed to the perfect combination of high pressure and high temperature conditions, occurring between depths of 140 and 180 km beneath the surface of earth, in earth’s lithospheric mantle, or at the site of a meteorite strike. After a period of 1 to 3 billion years, until the diamond is formed, it travels to the earth’s surface by deep-origin volcanic eruptions via streams of molten rock that go through earth’s volcanic pipes. As it travels, it acquires inclusions and flaws, giving each diamond its own unique fingerprint. No two natural diamonds are alike—each one displays a unique colour or clarity, and is a wonder of the world. Many diamonds can be found in alluvial deposits, along shorelines and in rare cases in glacial deposits. Essentially, a diamond is a compressed form of carbon that come to life only when the most unique set of criteria are met. This is a natural phenomenon, and attribute the diamond’s rarity and value in the world. The name diamond is derived from the Greek word “adamas” which means unconquerable, in reference to the gem’s extreme harness and durability. Diamonds are the hardest material on earth, 58 times harder than anything else. A star, fifty light years from earth, is a 10 billion-trillion-trillion carat diamond – the “Lucy” in the sky. The first diamond engagement ring was presented in 1477, when the Archduke Maximilian of Austria proposed to Mary of Burgundy. The mining conglomerate, De Beers, joined hands with a powerful advertising agency and together coined the phrase “a diamond is forever” – the premise of which was that only a diamond should be the choice for an engagement ring. 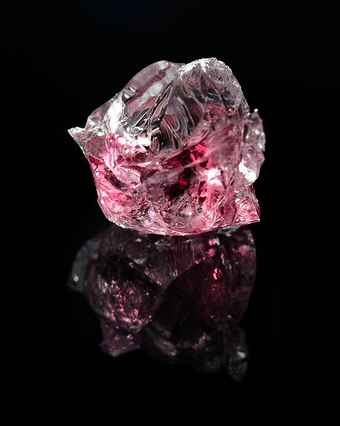 A diamond is 1 in 1,00,000 literally, with its average yield in most mines being 1 part diamond to 1 million parts rock. Keeping in mind that buying and selling diamonds is complex process, we understand that qualified experience is essential. You may or may not have the accurate information or knowledge of making an informed decision, and getting the best value for your diamonds. At Arhaandiam, you can stay rest assured of receiving the best value for your diamonds thanks to our experience of over ten years in valuing and buying diamonds. We have gained the expertise and knowledge needed to offer you the highest prices for your diamonds. You can book an appointment, free of change and without obligation, and benefit from our trustworthy experts on your every transaction. Did you know? Our subscribers get exclusive offers and access to latest news before anyone else.